Mr El-Toukhy qualified in Cairo University, Egypt in 1991. He completed a Masters degree and an MD degree in Gynaecology. He is a member of the RCOG, British Fertility Society and The European Society of Human Reproduction and Embryology (ESHRE). He completed the RCOG accredited subspecialty training in Reproductive Medicine and Surgery at Guy’s and St. Thomas’ Hospital NHS Foundation Trust, where he was appointed as a consultant in Reproductive Medicine and Surgery and Pre-implantation Genetic Diagnosis (PGD). 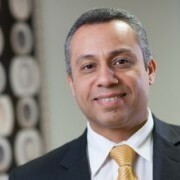 Mr El-Toukhy is an international expert in the treatment of infertility with assisted conception technology. He is a known figure in the field of recurrent implantation failure and has published and lectured widely on the topic both nationally and internationally. He is currently the Chief Investigator of a multinational study examining the role of hysteroscopic surgery in recurrent IVF failure. His special interests are recurrent implantation failure, hysteroscopic surgery and prevention of OHSS. He is also a scientific editor for the British Journal of Obstetrics and Gynaecology and Human Reproduction journal. He is renowned among his patients for his dedication and for offering a truly personalised fertility treatment care that has a high success rate and patient satisfaction. He sees his patients personally seven days a week.